Maria. I've just met a database named MariaDB. Like many web companies throughout the world, Team Valley Web develops on the LAMP stack – Linux, Apache, MySQL and PHP. Linux – the grand-daddy of open source operating systems. Apache – a web server over 20 years in the making. MySQL – a database into it’s 5th major version. PHP – a server-side scripting language again over 20 years old. All four elements of the stack combine to produce fast, versatile, stable website platforms that run the vast majority of today’s websites. Whilst one or two pokes have been made (notably replacing Apache with Nginx or lighttpd) this has been the platform most of us have worked on for the last 15 years. The popular open source packages – WordPress, Drupal, Magento, Opencart – all run on this stack seamlessly. However, this is set to change with a new replacement for the letter “M” – MariaDB. The background to this in the world of Big Business. Oracle, the enterprise-level database provider, purchased Sun Microsystems in 2010, who had purchased MySQL in 2008. This meant that a company who’s money was made from licensing a rival to MySQL owned MySQL, and a clear path of suspicion was drawn up. The founder of MySQL, Monty Widenius, took the MySQL code and started a new company to create MariaDB. Maria is what is known as a ‘fork’ – code which uses a previous version as its base and then goes in its own direction. So Maria was forked from MySQL, taking the basic principles of it and extended and improving the functionality, releasing version 10 in 2015. So that’s interesting, but if it isn’t broken, why fix it? Well MySQL has been stuck in development hell since the Oracle take over. Currently on version 5, version 6 of MySQL has been in planning since 2009 and yet to see a public release, with many in the community seeing its lack of development as a deliberate ploy by Oracle to switch users to it’s own paid-for database product. Although still technically open source, MySQL is only maintained by Oracle staff – something obvious when viewing the commit logs on Github. In the mean time, MariaDB has been openly and actively developed by a wide community, and major players have started switching to it from MySQL. Google, Wikipedia, CPanel and Mozilla have made the switch, and several modern open-source operating systems such as Redhat Linux and Fedora come shipped with MariaDB instead of MySQL. They’ve made the transition to take advantage of increased speed, performance and functionality over what is being seen as a stagnant product in MySQL. 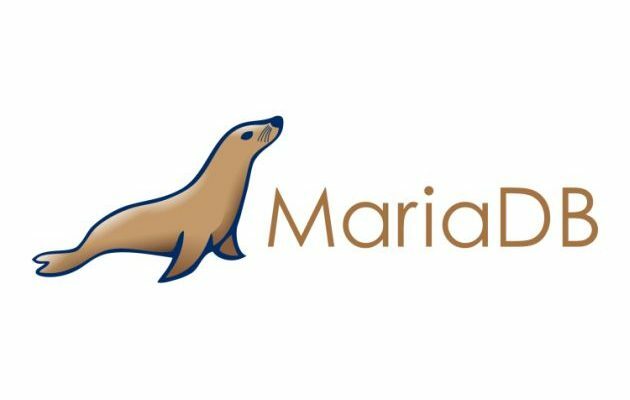 The clever step that the Maria team have made is in making MariaDB a fully “drop in” replacement for MySQL. Not a single line of website code needs to be changed, we simply install MariaDB onto our servers and it replaces all the calls and libraries that MySQL was using, painlessly and with no downtime. And with Maria being Mysql compatible, our usual platforms such as WordPress and Opencart run perfectly. With many of the big names making the move, we’ve decided to initiate a roll-out to move away from MySQL to MariaDB. After careful testing and benchmarking, we have started migrating our sites across to Maria, and already we’ve seen some impressive increases in speed and stability. We won’t be the only ones making this move – but we are glad to be one of the first in our industry to make this commitment. We take so much for granted in the world of web hosting, and for the first time in 15 years we are looking at making a change for the better. Looking to improve the performance and stability of your website? Why not get in touch and speak to our friendly team.